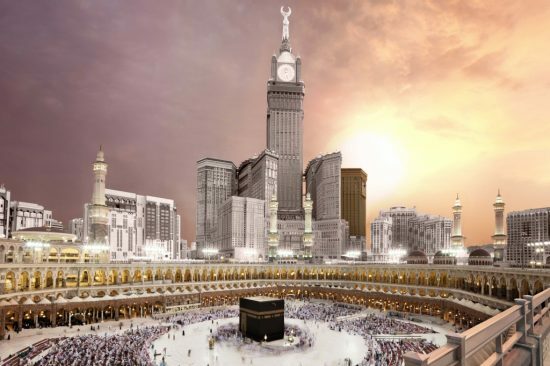 Modern Technology LaboratoryGeneral ConstructionThe Development of King Abdul Aziz Endowment Project (DOKAAE) –Makkah. 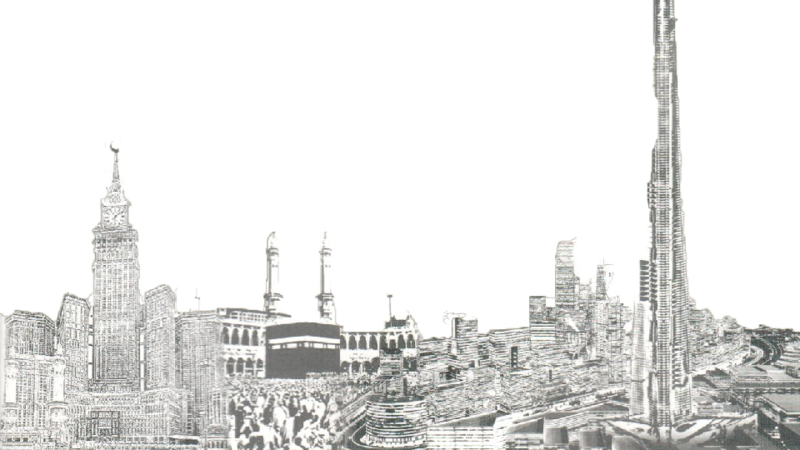 The Development of King Abdul Aziz Endowment Project (DOKAAE) –Makkah. 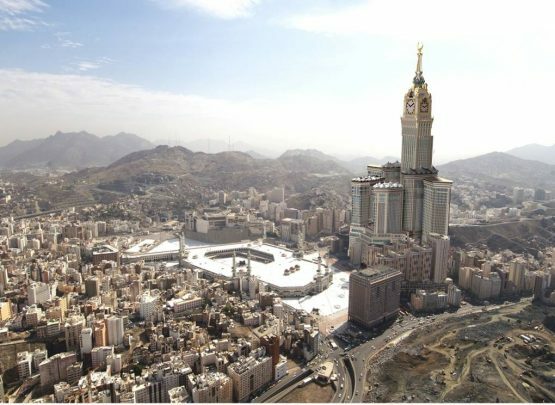 The Abraj Al-Bait (Translated as “The Towers of the House”) is a government-owned megatall complex of seven skyscraper hotels in Mecca, Saudi Arabia. These towers are a part of the King Abdulaziz Endowment Project that strives to modernize the city in catering to its pilgrims. The central hotel tower, the Makkah Royal Clock Tower, A Fairmont Hotel, has the world’s largest clock face and is the third tallest building and fourth tallest freestanding structure in the world. The building complex is metres away from the world’s largest mosque and Islam’s most sacred site, the Masjid al-Haram. The developer and contractor of the complex is the Saudi Binladin Group, the Kingdom’s largest construction company. The complex was built after the demolition of the Ajyad Fortress, the 18th-century Ottoman citadel which stood atop a hill overlooking the Grand Mosque. The destruction of the fort in 2002 by the Saudi government sparked Turkish and international outcry. It is the world’s most expensive building with the total cost of construction equaling US$15 billion. MTL Assignment in King Abdul Aziz Endowment Project (DOKAAE) –Makkah. Development of concrete mixtures up to70 MPa and pumpable up to 520m. Monitoring and data acquisition of concrete. MTL is a limited liability company registered in Saudi Arabia. Currently the company operates in the Western Province of Saudi Arabia and Riyadh and is expanding in other areas. What sets MTL apart from other independent laboratories in the region, Contact Us. © 1992 – 2017 mtl-ksa.com. All rights reserved.